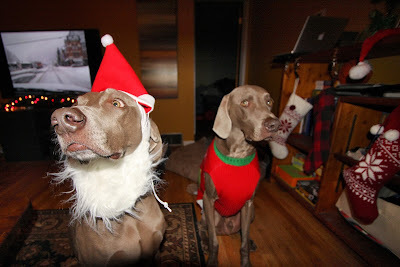 From Santa and his Elves….Merry Christmas! 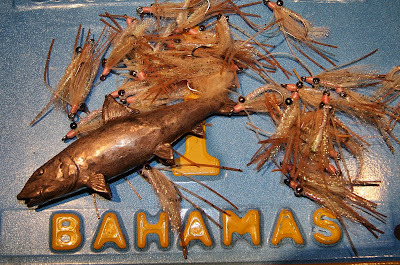 Tailing Bonefish Quickie VI from Chris Lewis on Vimeo. This is a short, but very cool video. The video gives a good example of how a bonefish searches for food using his highly refined senses. The video also show how bonefish align themselves to feed into the tidal flow. Near the end of the video (approx. 2:08), watch as the bonefish literally finds pay dirt. The fish tips down and digs in the marl with his mouth. You can see how bonefish puffs are formed. If you watch closely, you an see the excavated mud flow out through his gills. #1. How important it is to have a fly heavy enough to both get down quickly AND overcome the tidal flow. #2. How it's always much further than you think. By that I mean you must deliver your fly (depending on its weight) well ahead of the tail, when a bonefish is tipped down busy excavating a morsel. Hitting this fish on the head would not work. He would never see the fly or he would feel the line as the tide carried the fly over his head and blow up. #3. How unimportant it is to move the fly with what has become the conventional strip (see this). Obviously, the fish in this video sees no motion. When a bonefish is feeding, all he needs is to spot your fly. Constant repetitive stripping is often both unnecessary AND unnatural. Most prey species don't move very much… they try to hide on the bottom and usually do not flee. Prey species very rarely "get away". Their best chance is to hide! Bonefish are too "fleet of fin" to run from. This interesting video Bonefish and Tarpon Trust shows some of their research trip on spawning bonefish in the Bahamas. 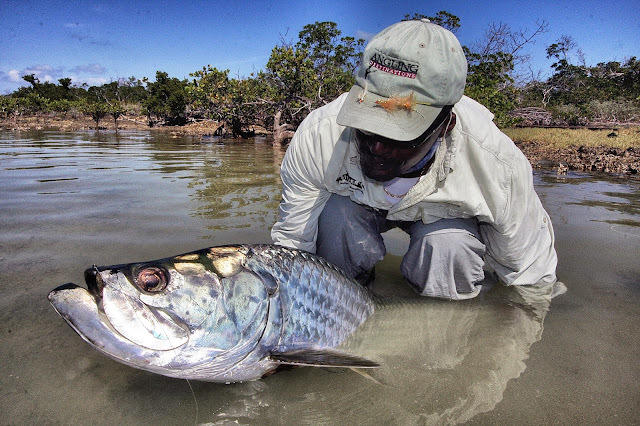 Bonefish and Tarpon Trust is a non-profit conservation organization dedicated to protecting and conserving bonefish, tarpon and permit and their habitats around the globe. Visit www.bonefishtarpontrust.org to learn more. The cast is a good one. 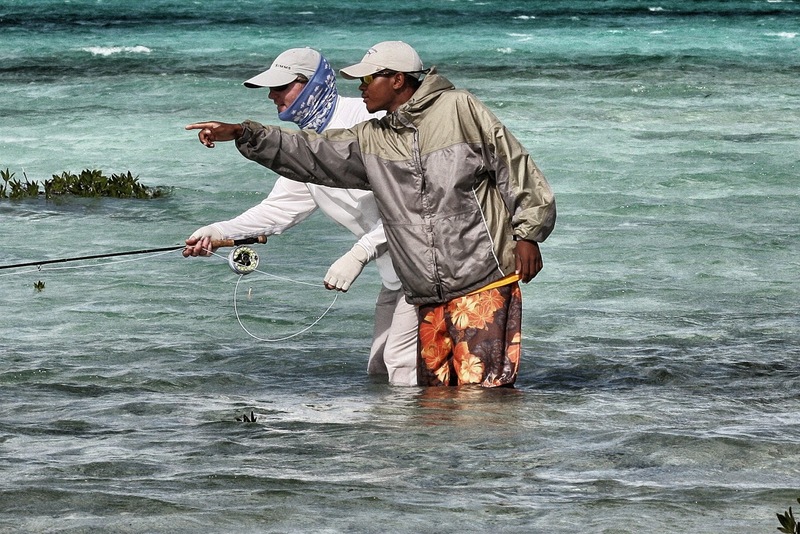 Following his guide's instruction, the angler strips his line soon capturing the attention of the bonefish. 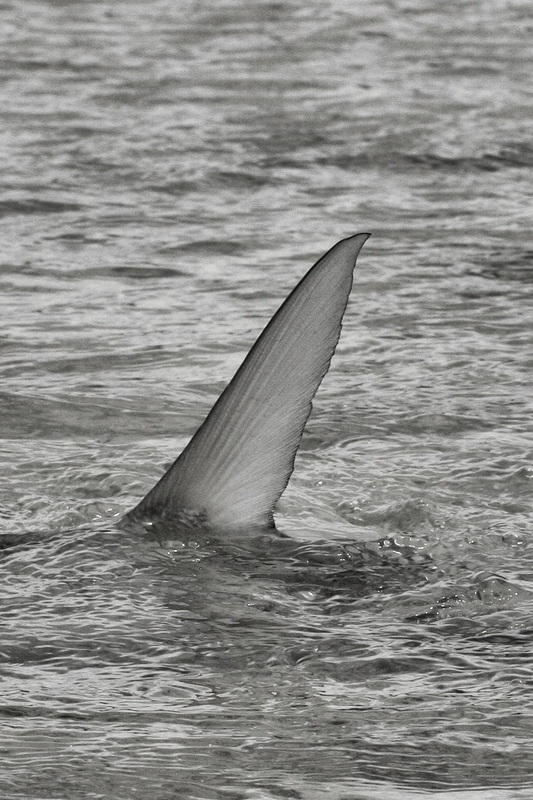 The fish turns to follow the fly, then as the bone tips down, his broad tail breaks the surface. The angler holds his breath and listens intently for further instructions. Calmly his guide says "lonnnng strip"! Have you ever wondered why experienced bonefish guides ask for that lonnnng strip... just at that moment when the bonefish tips down to eat? Well, it's not because the guide wants that angler to move the fly again. Instead, the guide knows the fish has eaten the fly. He wants the angler to remain calm and yet strike the fish! 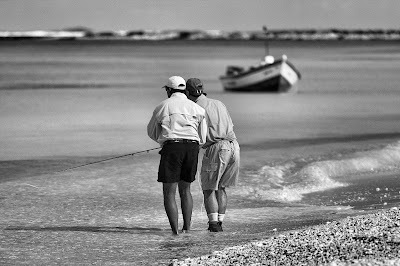 The guide is using a somewhat devious method to make sure the angler does not raise his rod in an effort to set the hook. Why? Because, raising a rod's tip skyward on the hook set turns the rod into a shock absorber greatly diminishing the energy of the strike. As a result, the fly frequently fails to obtain a solid purchase and skips out. Raising the rod tip may protect the light tippet on a trout leader and be sufficient to force the thin wire of a trout fly into a trout's relatively soft mouth… but it's not enough for a bonefish, or most other ocean species for that matter. 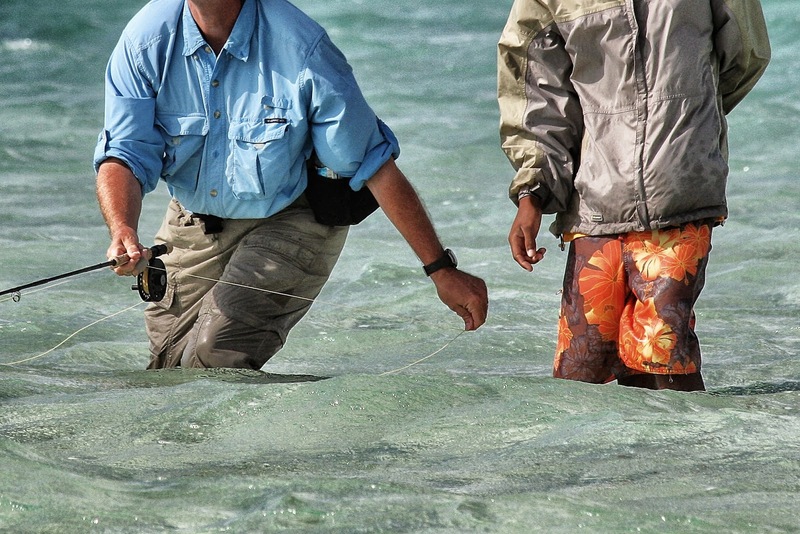 So if you want to catch more bonefish, you must learn to properly strip strike. While the strip strike used for bonefish is a less violent strip strike than the more powerful method used on extremely hard mouthed and hard charging species like tarpon and GT's, the mechanics are the same. The bottom line is, if you learn to strip strike, you will hookup more often simply because YOU DIDN"T RAISE THE ROD TIP! Step 1: As you strip line to impart action to your fly, keep your rod tip low and pointed directly at the fish. Step 3: If the fish has eaten, your line hand may stop before it gets behind you (as the hook point comes home) OR the bonefish will turn and take off (be prepared to quickly let your line slip through your fingers!). Either way, you’re in good shape and the hook is set. 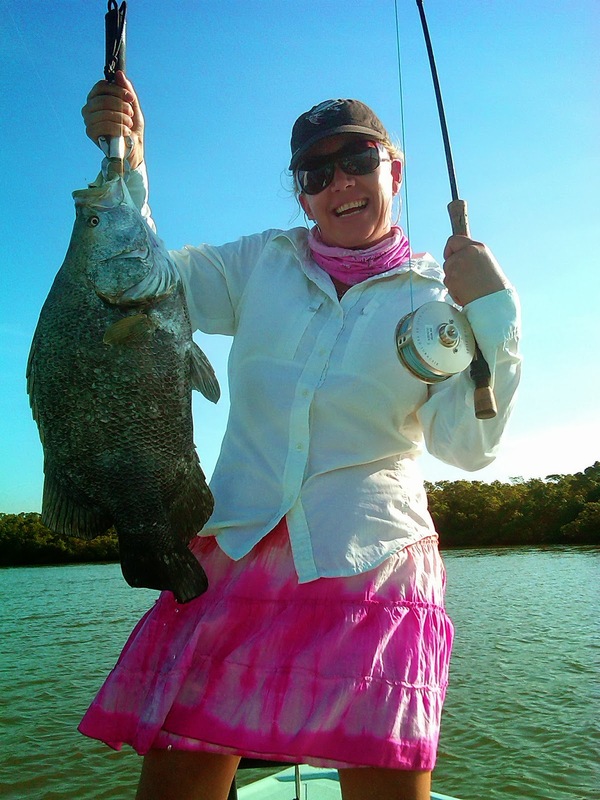 Now you can raise your rod and use it for what it is when fighting a fish… a shock absorber. It can be hard to train yourself not to raise your rod when striking (especially if you are a trout fishermen). But if you keep stripping with the rod tip pointed directly at the fish until the line comes tight (and you don’t raise your rod tip), you'll more often than not bury the hook in the bone's mouth and get a good hook set. This is all you need to know to properly set a hook in a bonefish. But there is more to learn about the strip strike, especially if you want to fish for the extremely boney-mouthed and hard charging species like tarpon or GT's. As you are stripping the fly with your rod pointed directly at the fish etc. (see above) your rod hand should be out in front of you. This gives you, when the fish eats your fly, the full span of your arms for the strip set (i.e. your maximum strip set occurs when your rod hand is well out in front of you and your line hand is fully stretched out behind you). If you reach that frustrating moment when you are still not tight to the fish, but your line hand is fully extended after completing a strip strike (this occurs most often as the fish is charging towards you), don't resort to a trout set to take up more line! Instead, clamp down on the line which is running under the index and middle fingers of your rod hand, and again, still keeping the rod pointed directly at the fish, pull strongly straight back with your rod hand as far as you can or until it comes tight (the power you choose to put in this move depends on the species you are fishing for). These two strips (the one with your line hand arcing behind you and the subsequent one with your rod hand) can be done smoothly and sequentially. Putting these two strips together can take up one hell of a lot of line without the need to reposition you line hand (which can be a game-ending move!). 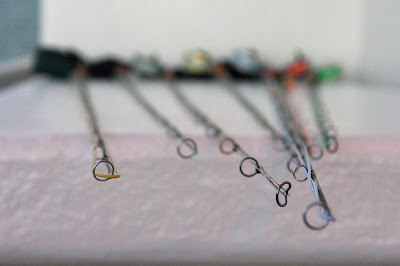 You can also repeat these rod hand jabs quickly, one after the other, if you feel you didn't get a good hook set with the preceding one. One other note, as you perform this rod hand strike, move your other hand (line hand) forward at the same time. This will put you in good shape to clear your line when the fish comes tight and also repositions you for another line hand strip if necessary. Done properly, these techniques create a powerful tool… good enough to put a hook point in any tough ocean species from permit to giant trevally to tarpon. 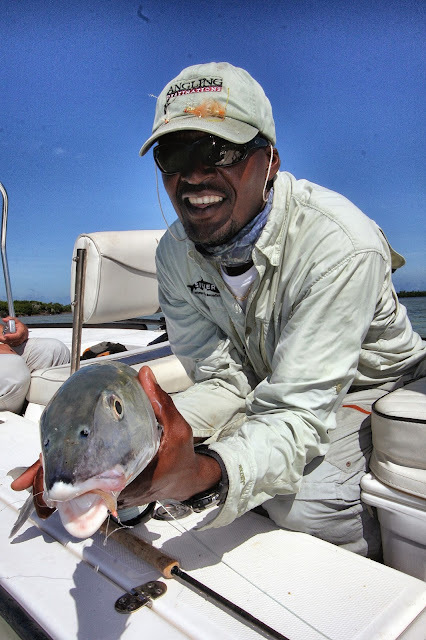 Learn the bonefish strip strike and instead of hearing "lonnnng strip" from you guide, you’ll hear “nicely done”. Learn the rod hand strike and you'll be successful with any saltwater species! Just a Damn Fun Photo! Is there anything better than a pretty woman with a fly rod? Yes, A pretty woman in a very pink skirt with a very big fish! 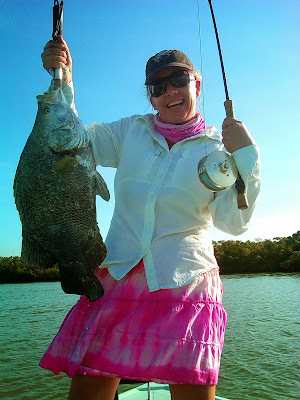 Jennifer White in the Everglades with a BIG tripletail! This makes me want to be in the Bahamas! In this video the guys from The International Angler in Pittsburgh, Pa show us they had another great trip to Water Cay Lodge on Grand Bahama Island. See some nice bones, a bit of life at the lodge and as Mike Taylor lands a permit on their hosted trip last November. Join the International Angler next year in the Bahamas for a great time and some great fishing! See www.internationalangler.com for dates. After the temps reached a frigid -22 degrees F during the wee hours of the morning last night, it was a penetrating -12 degrees Farenheit when I took my dog for a walk this morning at 8:00 AM. By 3:00 PM, it had warmed up to a balmy -11 F. Here in the northern Rockies, we all whine about our current weather, but this latest and very intense deep freeze seems to have a silver lining!! This is good news indeed for those living in Wyoming and Montana… and for those that love to fish Wyoming and Montana! 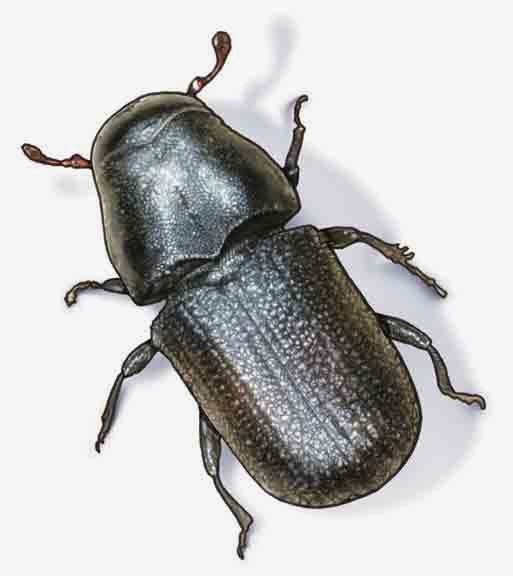 As the Montana temperatures dip down to the minus 10 to minus 20 degrees F this week with wind chills at -15 to -35 F we may look forward to Pine Beetle Mortality. Regniere and Bentz published a paper in 2007 that discusses cold tolerance in the Mountain Pine Beetle, Dendroctonus ponderosae. In it they discuss how the Pine Beetle is freeze intolerant and must avoid freezing of body tissues. “The supercooling point (SCP) refers to the temperature at which spontaneous nucleation of body water occurs and lethal ice crystals form in the insect tissue.” There is a lot of statistical data, charts and graphs including Lethal Temperature (LT) that will warm the cockles of a Science teachers heart in this paper. Basically, increased time duration at subzero temperatures can kill our little Pine Beetle dead lumber salesmen. A quick review indicates that in most circumstances minus 20 degrees Centigrade (equal to -4 F) is the median of the SCP and more than likely peak of pine beetle mortality. With the -20 F we’re seeing now this could be a sharp die off for the Pine Beetle in Montana, especially if this cold weather lasts. And that of course is good for possibly reducing the number of dead standing trees and lessoning our catastrophic fire hazard. So rejoice in this cold spell! We are mitigating those pesky pine beetles. When Sidney Offers Bonefishing Advice, It's Good to Listen! We bonefishermen often focus solely on what patterns to bring, but here is some uncomplicated and solid advice from one of the most experienced and knowledgeable guides in the Bahamas. Sid offers some good reminders for the experienced angler and a few important bits of advice for those just starting out. For me, sometimes it's good to go back to the basics! When Sidney offers advice, it's good to listen! This morning I was talking with Sidney Thomas, the head guide at Water Cay Lodge. We started talking about flies and fly patterns. Take away #1: Gold flash is good. Suddenly Sid stopped talking, thought for a second, then said "The truth is, any fly will work if the fisherman thinks it will work." Sid went on, "It really doesn't matter that much. Guys fish differently with a fly they have confidence in. I've seen two guys switch to what their partner is fishing and they both still catch fish. They just switched flies with each other. 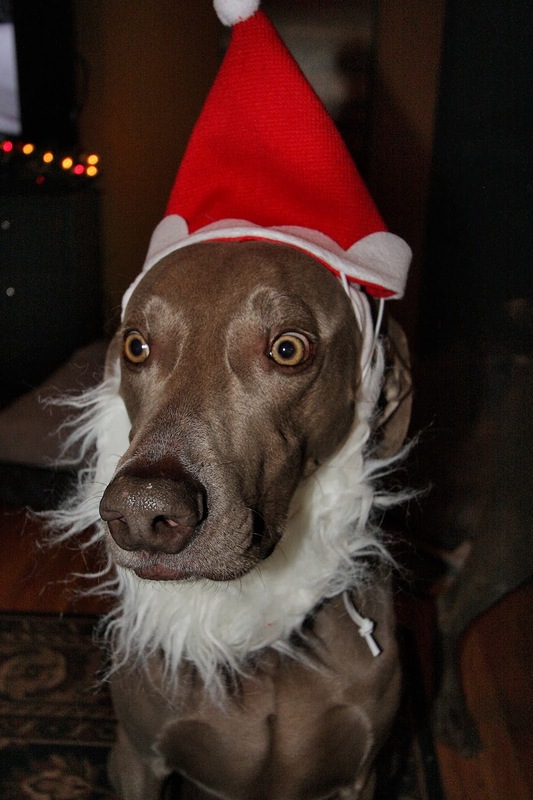 Funny!" Take away #2: Fish a fly you believe in. I pressed on asking Sid what flies to bring and he said, "The important thing is to have an assortment from big flies like #1's to small flies like #6's. So have flies, big and small, with no eyes, bead chain eyes, heavier lead eyes. Big patterns, small patterns, heavy patterns, unweighted patterns. Take away #3: Bring a variety of flies. "I see guys come with hundreds of great flies in many different colors and sizes, but they all have bead chain eyes. Man, that won't work. You got to have a variety of sizes and weights." Then Sid said, "But no matter what you bring, make sure your flies are tied on high quality hooks. You wouldn't believe how many cheap hooks I see straightened out by big bonefish and permit. 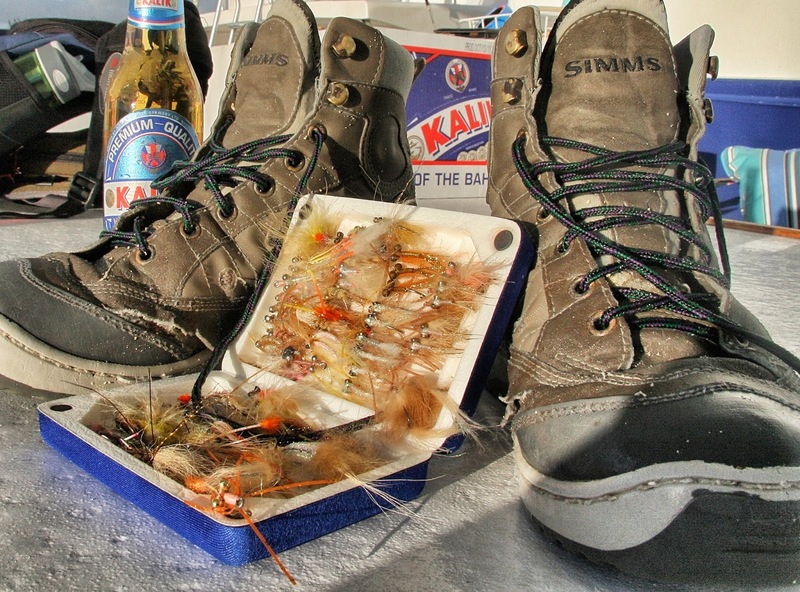 Guys spend all this time tying beautiful flies, but then they tie them on cheap hooks. NOT GOOD!" Then Sid sighed and said, "They often pay for that." He then added, "We had a 32 inch at the fork... 23" around bone caught this year. Thank God the guy's fly was tied on a good hook. A cheap hook would have straightened-out on the first run." Take away #4: Tie with good hooks. Good hooks are important with these guys too!